Paulownia Z07 Pao Tong (SuperHybrid) is a crossing of 3 species of Tomentosa, Fortunei, Kawakamii. This hybrid of Paulownia is most popular and favorite in Japan for its rapid growth and high quality of wood. It is very powerful, with an excellent growth rate, it adapts to the temperature extremes of the environment and soil. This species of Paulownia is the most resistant to diseases, heat, and drought and cold to -33 ° C (the most frost-resistant of all species). This species is ideal for plantations in Europe and CIS countries in particular, where there are severe temperature extremes and severe frosts. For the second year after planting, it reaches 6-8 meters, which allows us to get a high, smooth, knotless trunk of superior quality! It allows planting 4m x 4m (640 trees/ hectare) and 4m x 3m (850 trees / hectare), due to not a large tree crown. Since 1970, in China, they are beginning to work on the breeding of various species of Paulownia, by crossing and planting under extreme conditions. 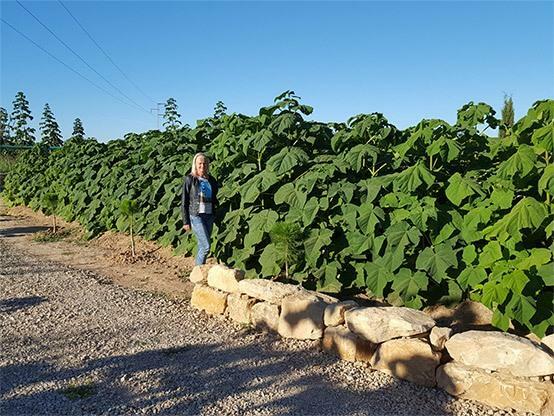 And the result of this is the presence of more than 22 varieties of Paulownia, suitable for large-scale planting and the production of quality wood. Each of these varieties exceeds the quality of wild Paulownia due to rapid growth and, consequently, due to high efficiency of wood and biomass. One of these 22 varieties is Paulownia Pao Tong Z07. Due to its qualities, this variety will gradually displace all other varieties in industrial production, and at these times it becomes one of the leading varieties of Paulownia that are cultivated in Japan and China. Paulownia Pao Tong Z07 really has excellent qualities, and this makes it a leader in the industrial sector. Paulownia Pao Tong Z07 grows very quickly (Superfast). 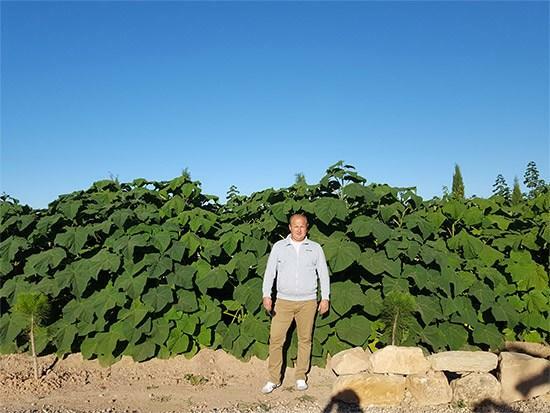 In Japan and the United States, the studies have been conducted during 7 years that compared the growth rate between Paulownia Pao Tong Z07 and various species of the old generation under drought conditions. One of the features of Paulownia Pao Tong Z07 is it saves space at the expense of its narrow crown. Pao Tong Z07 is a narrow type of crown, meaning that planting will take up to 40% less space than when planting other species. Pao Tong Z07 guarantees an excellent quality of wood, which is specifically distinguished from other species. To date, successful projects have been implemented in the United States, China, Japan and Europe. In Bulgaria, Slovenia, Slovakia, Ukraine, Romania, Hungary, Spain and other countries, Pao Tong Z07 develops successfully in any region, regardless of climate or soil type. 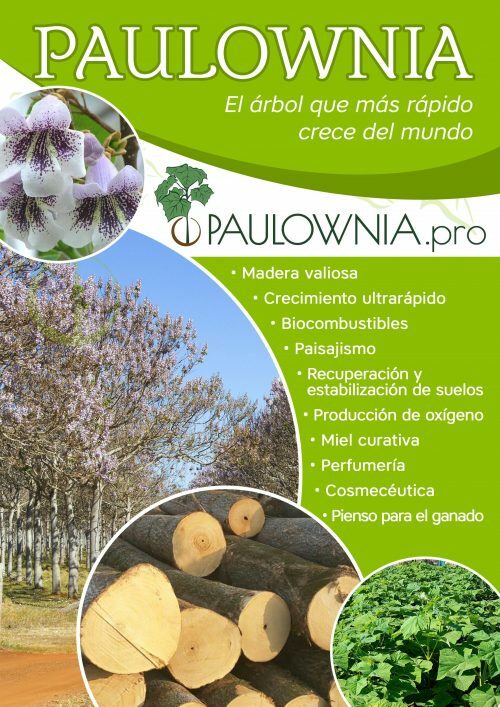 This important adaptive quality of the given species of Paulownia allows saving resources, labor force, and it improves productivity and raises profitability of investments into forestry.